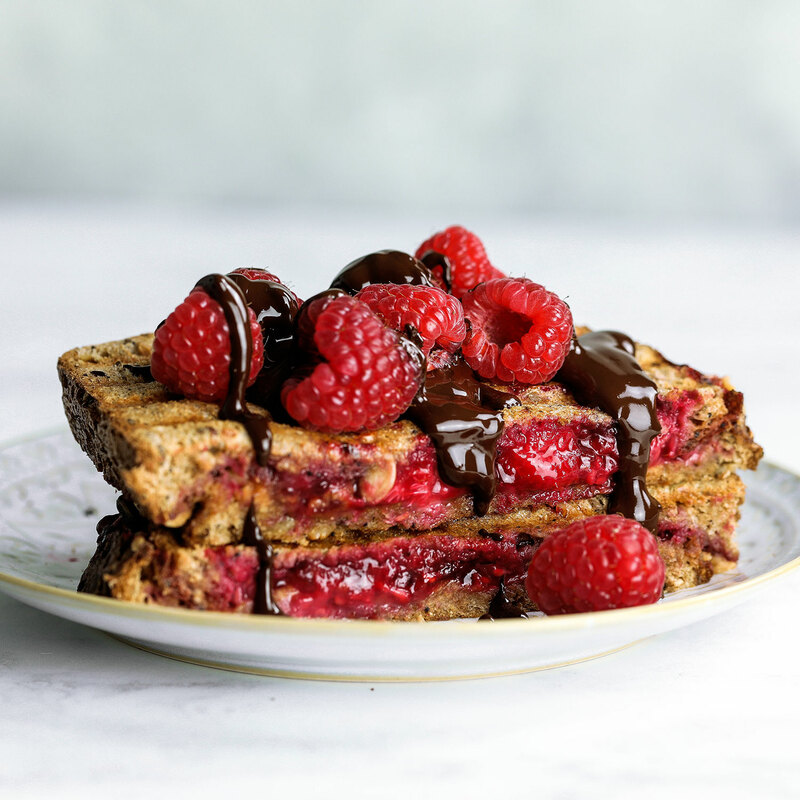 Like a peanut butter and jelly sandwich, but with almond butter, raspberry jam and toasted. 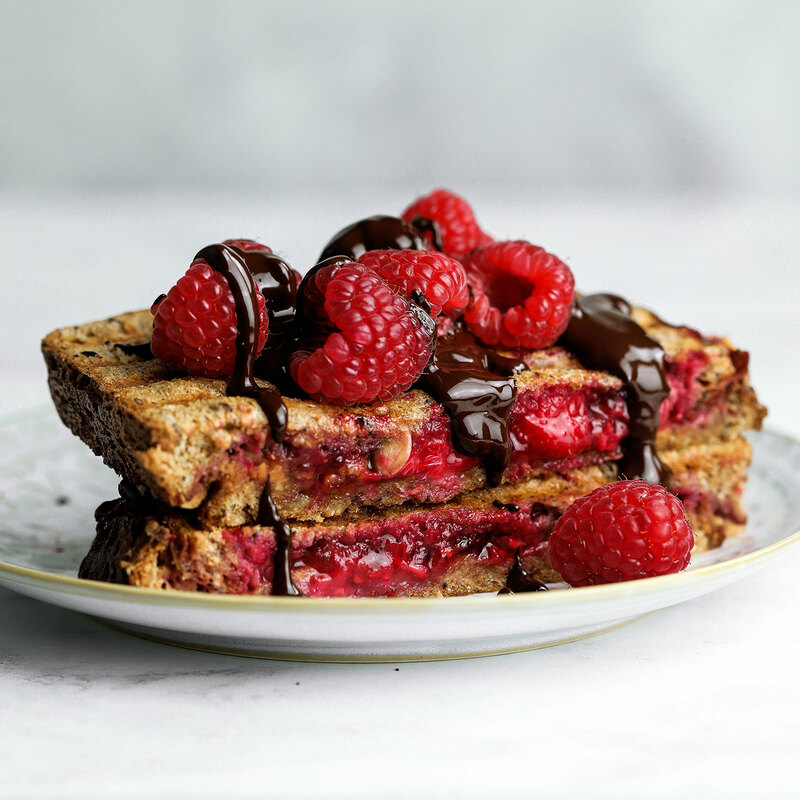 This almond butter raspberry toastie is my idea of the perfect winter breakfast treat. And now that the summer break is over and I’m diving into my final year of college, I need all the comfort I can get. Although I LOVE peanut butter, given the choice I would always go for almond butter instead. I love that it has a milder taste that’s not too overpowering, especially when there’s other flavours in the recipe that you would like to shine through. 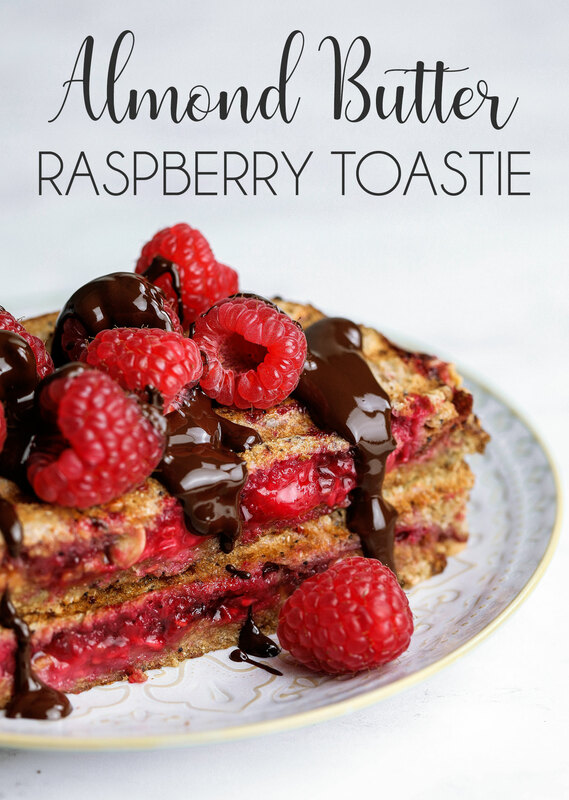 I think almond butter goes so much better with jam, that’s why I skipped the peanut butter and made an almond butter (jelly) raspberry toastie instead. 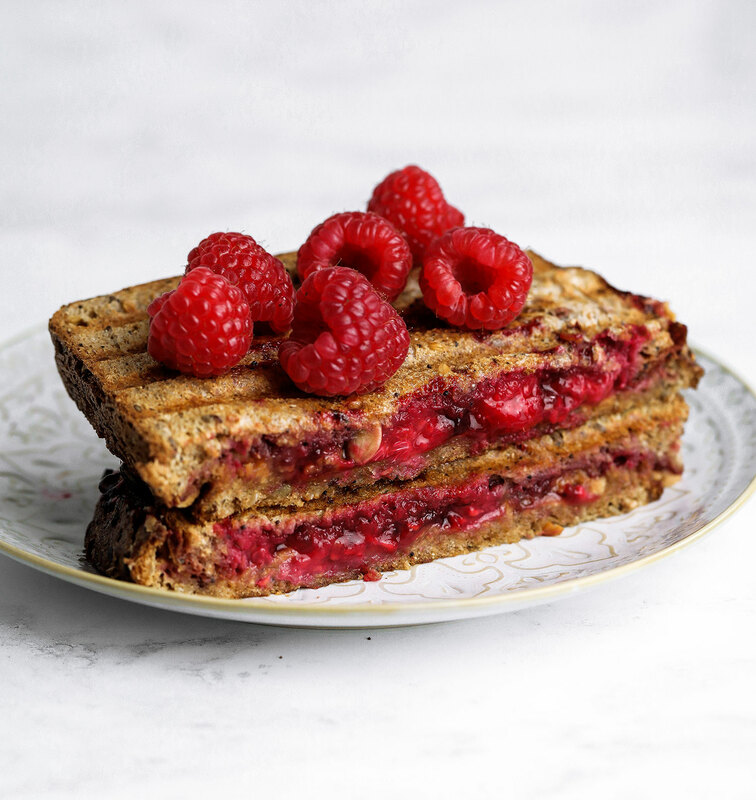 This almond butter raspberry toastie would also make such a good study snack. Carbs (check), protein and healthy fats (check), a full and satisfied student who’s ready to tackle more studying (check)! There’s also something so relaxing about taking a break from your studies to prepare a sandwich. 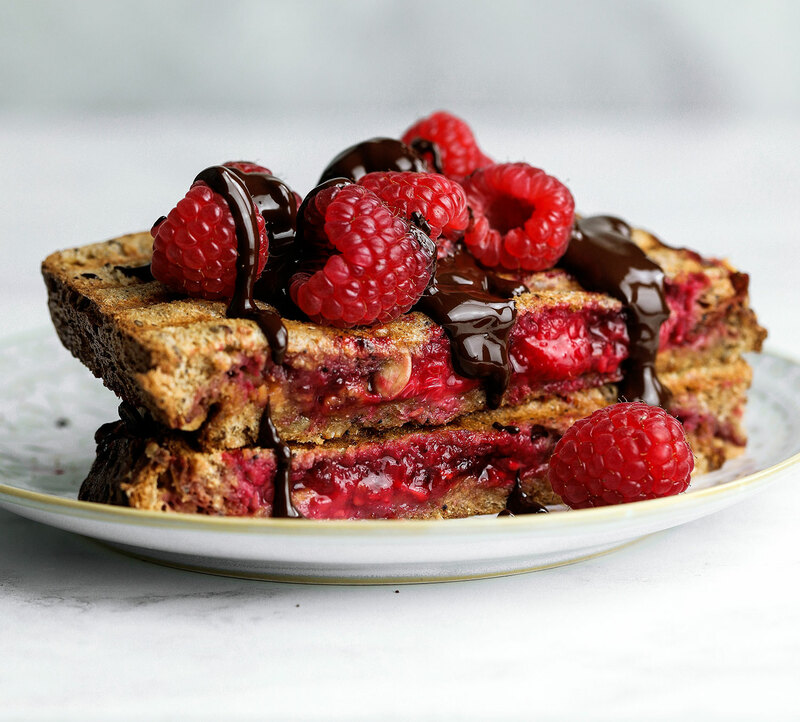 Brush each slice of toast with a little bit of melted butter, then spread the almond butter on the other side. Now spread the jam and arrange the fresh raspberries on top. Top with the second slice of bread bread, butter side up. Wait for it to cool down and enjoy!